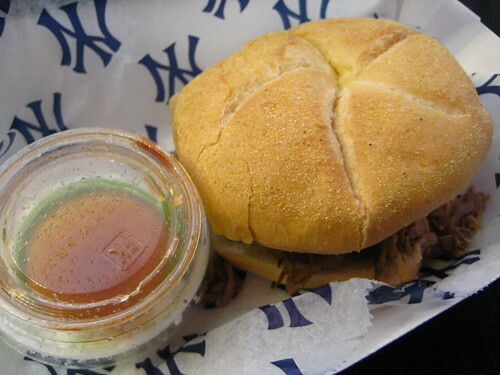 Last week, the NY Times ran an article on the lack of good beer at the new Yankee Stadium. When watching a ball game, beer is high of the list of important things to have. 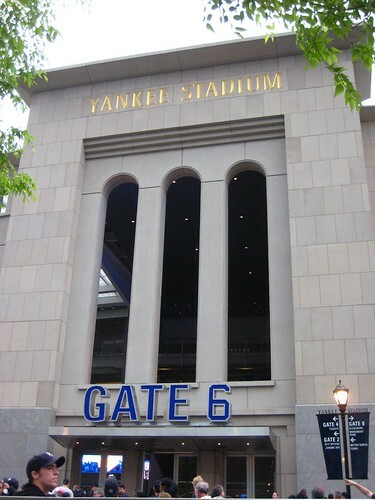 And with the prices at this new stadium, the Yankees are trying to appeal to the top-dollar spender. Shouldn't everything then be top-dollar? 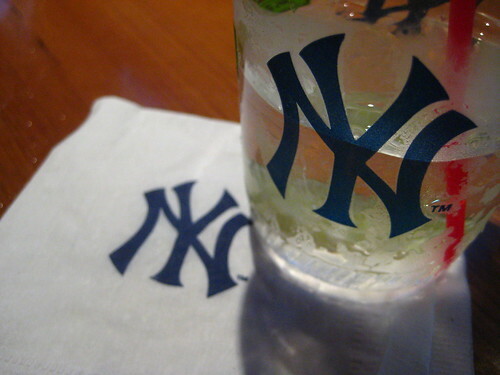 Well, when it comes to the libations, the Yankees are a 6-4-3 double play boring. In the closing minutes of Friday afternoon, I was offered a seat that night's game. Being my freeloader self and needing a good night out, I was down regardless of where my true heart lies. And of course, this was going to be an opportunity to let you know their food options-for awesome official media coverage, check out SE:NY's review. 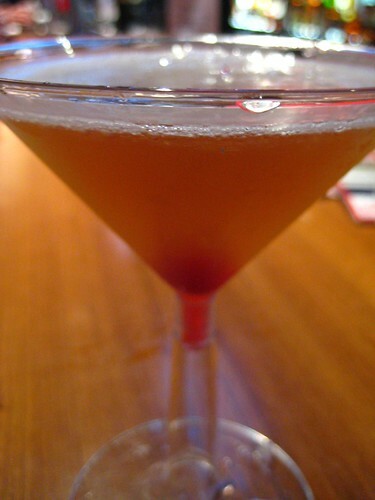 Our first stop was the Jim Beam Suite Lounge, where I got a Manhattan, an $16 Manhattan. I don't know what's wrong with me. I liked it, plastic glassware and all, though I would have preferred something unusual like a Bronx. 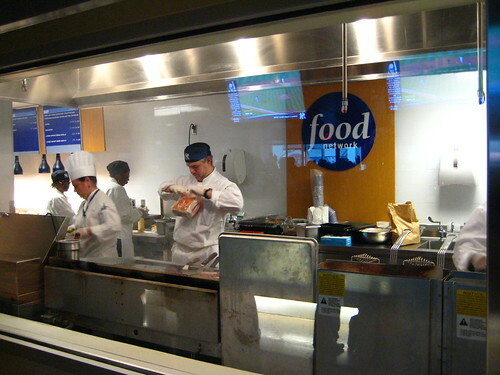 At the back of the Jim Beam Lounge is the Food Network Kitchen serving a hodge-podge of items: pizza, angus burgers, and fish tacos? The pizza was sitting under cafeteria-esque heat lamps, and I wasn't in the mood for a burger or cold noodle bowl, so fish tacos it was. 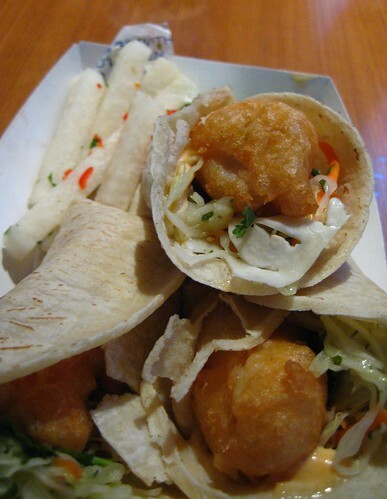 And I have to say, they were a bit bland, not that I am a fish taco expert. I expected some overwhelming flavor, instead you mostly tasted the sauce and felt the crunchiness of the citrus slaw. These will be a pass from now on. 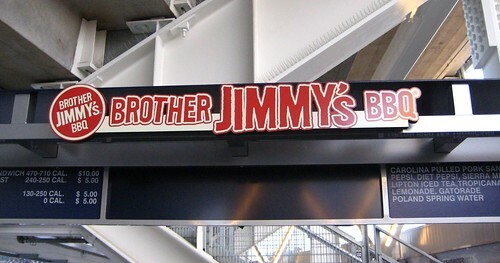 On the 300 level, where we were, there's a Brother Jimmy's BBQ outpost. No frickles here, just pulled pork sandwiches with vinegar and slaw on the side. The guy behind me was a bit upset that he couldn't get BBQ sauce. This sandwich was much more enjoyable than the tacos. The bread had a strange hardness that could have been from a little toasting, but I doubt it. The pork though was flavorful and the little bit of dryness was overcome by adding the vinegar. By this point, I was full and thoroughly enjoying the $10 souvenir cups of Miller Lite. Did I mention that Citifield has Brooklyn Brewery special edition beers for $6.75? 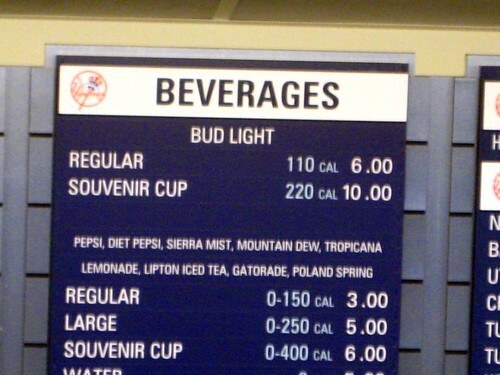 Cheaper beer with better flavor, that's a think that needs to be thought, along with moving that right field wall. 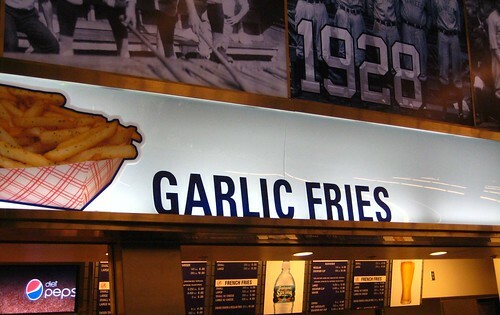 There were a plethora of food options two levels down, including some fantastic smelling garlic fries I hope to get my hands on this season. For my complete set of photos, click here. PS Last night's game had me screaming at the TV... my goodness Delgado!